How do I know which level is right for my child? Choosing the right program for your child for is as easy as knowing their age and current ability. Baby & Me: Ages 6 months to 2.5 years old – All children of this age start here. FUNdamentals: Ages 2.5 to 8 years old – Beginner swimmers that need to become water-safer. Clicking here will bring you to the Free Trial registration page. Give us a call at (404) 354-1180. We’ll ask you about your swimmer and find you the perfect trial class matched to their age and ability and (just as important) your schedule. Good news! Registration is simple. The easiest way is to visit the program page that makes the most sense for your child’s current age and ability. Baby & Me, FUNdamentals, or Beginner Strokes. Here you can learn more about the program curriculum goals and click over to a live registration schedule. We also schedule over the phone (404) 354-1180. Swim Lesson pricing is slightly different for each program and are broken out below. All programs are prorated by the number of lessons built into the calendar month. For example: August 2018 has 4 calendar Tuesdays, while July 2018 has 5 calendar Tuesdays. If you registered for a Tuesday, your tuition would be automatically prorated to reflect the calendar. We also automatically prorate tuition down if one of your scheduled classes falls on a holiday closure. The Swim Revolution charges a $35 enrollment fee for new families and a $15.00 re-enrollment fee for previous members. New families will be automatically prorated and charged at registration and can begin lessons immediately. 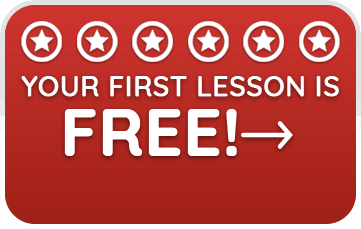 After initial registration, tuition is charged on the 1st of the month for all scheduled lessons in that month. For example: Tuition is charged July 1st for July classes. What forms of payment are accepted at The Swim Revolution? Tuition is charged automatically via Credit Card and Debit Card. We accept Visa, MasterCard and Discover. Because tuition is auto-drafted on the 1st of the month, an accepted form of payment is required on your account. Month-to-Month scheduling means you’re not tied down by any long-term contracts of commitments. Simply put, if you like your lesson day and time, you keep it as long as you like. Your registration will roll from one month to the next until you give us notice of your intent to take a break. Can my child swim more than 1 time per week? What if we’re going to miss a swim lesson? We’ve got your back! Schedules are rough for parents with little ones – we get it. Just let us know in advance and we’ll schedule you a make-up swim lesson at no charge! Each child can accrue two make-up classes on their account at any one time. Once you make up one, you can add another if needed. What if I forget to notify you in advance of an absence? Accidents happen, schedules run tight and things get forgotten in the chaos – we get it! We forgive your first no-notice absence, it’s free and we’ll still schedule you a make-up lesson. For any no-notice absences after that, we will charge your account a no-call-no-show fee of $15.00 without the ability to schedule a make-up class. With two children per class, it’s important we offer the other student a swim buddy. Kids learn better with a swim buddy and it’s a detriment to the student when we cannot fill the class time. It is also a detriment to other families with make-ups, we use classes with absences as opportunities to schedule make-up swims for other families. How can I schedule a make-up lesson? Give us a call (404) 354-1180 or email us team@theswimrevolution.com and we’ll schedule you a make-up class that’s perfect for your little one and your schedule. * Make-up lessons can be scheduled same day and up to 7-days in advance. 2-Week Notice: Notify us of your intent to withdrawal and we’ll send you a withdrawal form (don’t worry, it’s short and sweet). Fill it out and you’ll be taking a break two lessons from now. Immediate Withdrawal: Sometimes in life there is no time to wait. In this case, we offer an immediate withdrawal. Your account will be charged a 2-lesson no-notice fee. When are The Swim Revolution’s scheduled closings? At your first lesson you’ll receive a The Swim Revolution lessons calendar that clearly outlines all planned closures for holiday’s or otherwise. If you need a replacement calendar, we keep them at the front desk where you can’t miss them! What happens in the event of an unplanned pool closure (bathroom incident, power outage, etc.)? If we must close the pool for any reason that wasn’t planned for in our The Swim Revolution calendar, each student will be given a make-up lesson. How long are swim sessions? Swim Lessons for all programs are 30 minutes in length. This includes 25 minutes of swim time and 5 minutes of parent communication and skill tracking. 2 students per instructor for all FUNdamentals and Beginner Strokes programs. Baby & Me offers a 6 baby/parent to instructor ratio. How often you celebrate their daily wins! Parents who take time to celebrate little accomplishments with their swimmer often see quicker progress. How do I know when my child is ready to move up a level? We’ll keep you informed every step of the way through your child’s progress at The Swim Revolution. We track skills daily and chat with you after each swim lesson. When your child is getting close we’ll let you know and once they’ve reached a new milestone we’ll celebrate together! Water temperature plays a major role in getting the most out of each swim lesson and keeping your child wanting to get in the water and stay in the water. That’s why we keep the water a warm and comfortable 87°-90°. Air temperature plays a major role in the comfort of your child once they’re wet. That’s why we keep the air a warm 80°. We encourage parents to wear layers and clothing comfortable for them at this temperature. At the Swim Revolution, your child’s safety is our #1 priority. That’s why our pool deck is covered with Life Floor, a rubberized, anti-slip flooring that helps stop falls before they happen and cushion falls that do. Normally pool facilities use slippery tile and hard concrete, you won’t find that here. We take cleanliness seriously. When we’re open for swim lessons, you’ll see our Cleaning Crew keeping the facility clean and safe for both your child and you. Bathrooms are monitored, disinfected and restocked every hour on the hour. Each night we deep clean and disinfect the entire facility head to toe.